Having impressed at Cheltenham all eyes will be on Tiger Roll as he looks to make Grand National history. Tiger Roll could go off as the shortest Grand National favourite in years and if he wins at Aintree he would be the first back-to-back winner since the legendary Red Rum. Shortest priced winner in 100 years? After successive victories at Cheltenham last year’s Grand National winner attempts to defend his crown on Saturday, something which hasn’t been done since the great Red Rum in 1974, with punters and bookmakers alike believing Tiger Roll has every chance of replicating that incredible achievement. 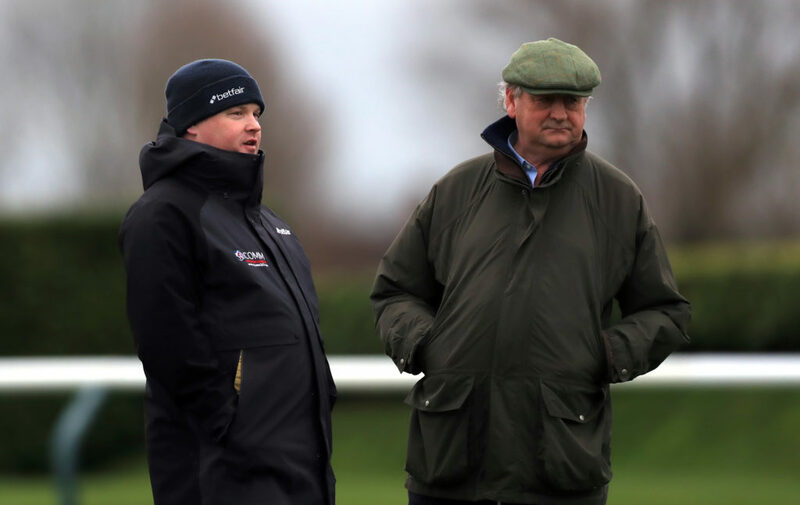 Trainer Gordon Elliott, who could well saddle a record number of runners in the race, has made no secret of his aim to win a second National after the horse made an impressive seasonal return by winning the Grade 2 Boyne Hurdle at Navan in February before romping home at Prestbury Park. No favourite has started shorter than 5/1 for the biggest steeplechase in the racing calendar since 1975 when Red Rum finished runner-up after going off at 7/2 – but that looks a distinct possibility this weekend with Tiger Roll currently 5.00* in the ante-post betting ahead of the race and if the nine-year-old were to win at 6/1 or shorter then he would be the shortest-priced winner since Poethlyn a century ago. His Cheltenham performance suggests he’s in fine form having beaten Josies Orders and Urgent De Gregaine by 22 lengths without even breaking sweat to win the race for the fourth time and as a consequence his handicap rating has gone up from 159 to 167, a revised mark which could still be something of an underestimation. As well as an impressive record Tiger Roll is also pretty capable on any ground, winning on going ranging from good to firm to heavy, something which could be key in a race where things can change overnight with all four seasons quite possible over the period of the three-day meeting in Liverpool. If that wasn’t enough, Tiger Roll is yet to fall in his 33 outings to date, including the intimidating fences at Aintree, and the only time he unseated his rider was three years ago when he was hampered by another horse, something which is always a possibility in the National however good his jumping ability. Gordon Elliott could make history with a record number of runners in the Grand National possibly saddling as many as 12 horses in Saturday’s marathon, breaking the record set by Martin Pipe who trained a quarter of the 40 runners in 2001 which was won by Red Marauder. Jury Duty is the next best of Elliott’s runners in the market having won impressively at Down Royal last month while Noble Endeavour, who ran a solid race at Cheltenham last time out, should be suited to the conditions at Aintree this weekend unless there is a significant change. As for the non-Elliott trained entries Anibale Fly finished second in this year’s Gold Cup having come fourth in last year’s National and could well improve on that if the ground is on the good side while another Irish contender, Rathvinden, is the shortest price of Willie Mullin’s contenders and has some high-class form to his name, winning the National Hunt Chase at the Cheltenham Festival last year before finishing fourth in the Grade One Champion Novice Chase at Punchestown.